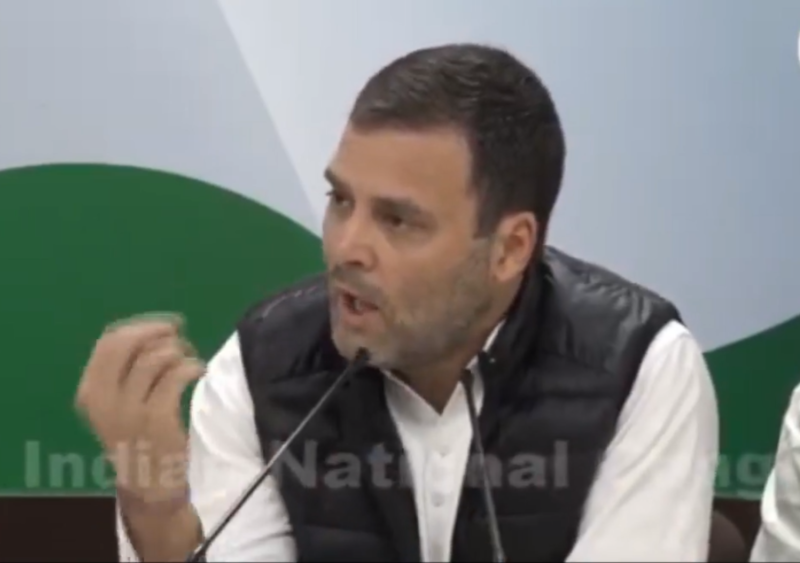 Congress President Rahul Gandhi on Wednesday was asked to comment on Samajwadi Party leader Mulayam Singh Yadav’s comments hoping for Narendra Modi’s return as prime minister. Gandhi, who recently asked Modi to be tried for treason over the Rafale scam, said that he respected Mulayam’s opinion. “I disagree with him. But Mulayam Singh Yadav has a role in politics and I respect his opinion,” Mr Gandhi was quoted as saying by news agency ANI. Gandhi’s comments assume significance given that his mother and the UPA chairperson Sonia Gandhi did not appear amused by Mulayam’s comments even as the entire parliament burst into laughter. Modi had thanked Mulayam and said that he was grateful to have received his blessings ahead of the Lok Sabha polls. Old men can not live without power like wether specialist RAMVILAS so he started chamcha Giri in advance before 2019 election.